Carve Her Name with Pride is a 1958 film that is based on the adult life of Violette Szabo who worked for the Special Operations Executive during World War II as a spy. Violette subsequently was captured, tortured and executed by the Germans. Let's take a look at the movie in more detail. Violette Bushell is the daughter of an English father and a French mother. The film begins at the start of WWII where Violettes mother suggests the family invite a French soldier into their home to celebrate Bastille Day with them. 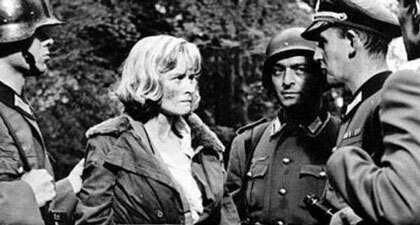 Violette, played by Virginia McKenna, goes to the park and meets a French officer, Etienne Szabo, played by Alain Saury, who she takes home to meet her family. The couple soon fall in love and marry before he is posted back to North Africa. Violette gives birth to a daughter and shortly afterwards Etienne is killed in action at El Alamein. Violette is invited to join the SOE as they think she will be useful to them as she is bi lingual speaking both English and French fluently. Violette agrees and following in depth training she parachutes in to France in 1944 in order to salvage a resistance unit. The mission is a success and Violette returns to England to take up her role as a mother but the SOE asks her once again to take on a mission, following the D Day Landings. This was to seal Violettes fate as she was captured and never returned home. Carve her Name with Pride is a true story of a heroine who was posthumously awarded the George Cross in recognition of her bravery. Carve Her Name with Pride is a black and white movie that is characteristic of its time. It was made in 1958 therefore is typical of the era, with the main characters of Violette and her two female colleagues displaying a real "stiff upper lip" attitude to what befalls them. Were this film to made now we feel it would most likely be a much more gutsy offering with more realism. Having said that the film is never the less well worth watching as it does tell the truly heroic story of a woman of great fortitude who gave her life selflessly for her country. As the movie was filmed in black and white it adds to the grim atmosphere somewhat making up for the lack of realism and obvious violence that would have been encountered by Violette during interrogation. It is intimated in the film that the poem "The Life that I Have" which was used as a way of passing on code during operations was chosen by Violette as Etienne had read it to her in the park before he left for North Africa. 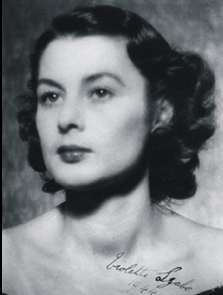 The poem was written by Leo Marks's girlfriend and was actually chosen by the SOE. Leo Marks was the head of the SOE ciphers unit. 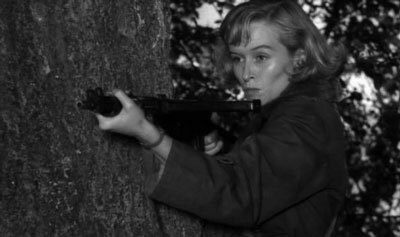 Virginia McKenna plays the role of Violette with great dignity and calm, while the fact that Violette was a very beautiful brunette seems to have passed the casting director by as Virginia McKenna is well known for her light blonde hair. 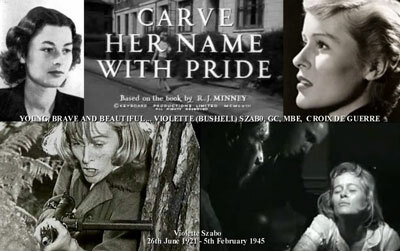 That said, Carve Her Name with Pride, available to buy from Amazon, is a great way to introduce us to the courageous Violette Szabo and is well worth watching. The final scene where Violettes little girl goes to the palace to receive the George Cross on behalf of her late mother is particularly poignant.